The joy I felt while creating my Sew ‘N Style Lil Luxe collection is only surpassed by the excitement of rolling it out today! This has truly been a labor of love and each piece was a thrill to create. But the culmination of the project, as each part found its place in the whole, brought the greatest satisfaction. The goal of creating a 3-piece collection with our little fashionistas involved in the process demanded thoughtful planning in advance. You can read more of the idea behind the series here. For the first look, I focused on angles and textures. The peaks on the Lil Luxe Haute Skort are such a great design detail. The peplum of the top gives just the right softness. I used a gray corduroy from Hobby Lobby for the skort. 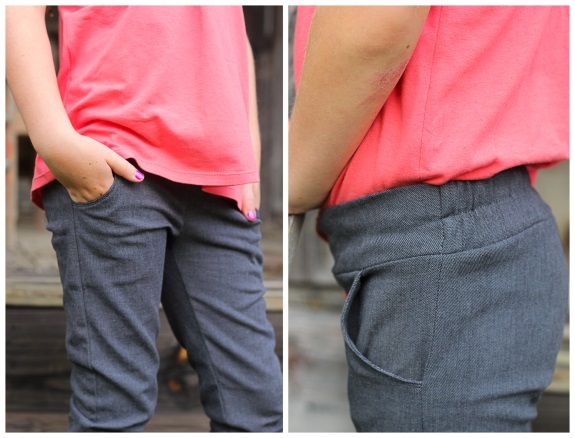 All of the lining, pockets, and shorts pieces are made out of gray cotton to reduce bulk. The only other construction change I made to the pattern was in the waistband since I did not use buttonhole elastic. For the peplum top, I mashed up two patterns. I wanted the flounce style peplum of the Lily Giggle Cecille Top combined with the more structured cuff sleeve of the Modkid Lexi peplum. I used the stripe for the back of the top, and the solid for the front, since the solid is a thicker, sturdier knit to handle the braid addition. A Zara top inspired the lopsided braided bow. I love that texture! I simply braided strips of knit fabric and sewed the ends together. It is attached to the shirt with a combination of fabric glue and hand stitches. Avery and I created the dream catcher from items we already had which makes it even more special. The hoop is a bamboo bag handle from my Grandmother's sewing supplies. The lace and doily are from my other Grandmother's vintage handmade collection. The feather was salvaged from my Dad's hunting adventures. The Modkid Cassidy dungaree dress was going through testing just in time for me to include it in my collection. I thought it was a fun look for this Aztec print corduroy from Hobby Lobby. I was pulling out my hair pattern matching though!! The center seam made it tricky, but the worst part was that the print didn't line up vertically anyway. I had never worked with dungaree buckles and buttons before and had fun with these unique notions. The back was a perfect place to feature the Lil Luxe Allie Cat Romper as a top. The low back makes a unique layering piece as opposed to a standard tee. I basically used Jessica's revisions for her cropped top, and added length. We've come to my final and possibly favorite look of the collection. The Modkid Tandy top is a crowd favorite around here with its flowy, easy style. Again, Avery and I worked on her hair accessory together. She picked out the beads and feathers we added to the braided leather straps. The pants are Lil Luxe Slim Trousers in some unknown stretch material I found in the clearance section at Joann's a while ago. I LOVE the zipper detail at the ankle. Many thanks to my hubby for tediously shortening the metal zippers for me! I had a little trouble with the installation of the zippers, so they may not be the prettiest, but I do love them. I switched out the 2" elastic at the waistline for two rows of 3/4" elastic. I also wanted to show you ways these looks could mix and match which truly makes it a collection to me. I couldn't afford to pay my model any more (I ran out of popsicles! ), so you'll have to get the idea through the collages. That's a wrap for my Aesthetically Aztec Mini Collection! 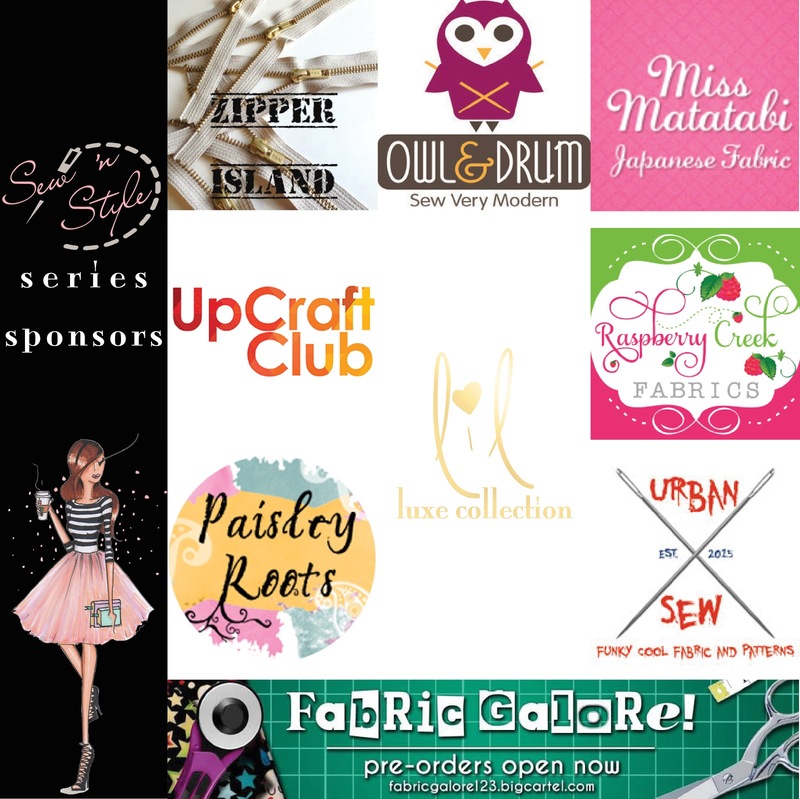 Read more about the Sew ’n Style Series and visit the contest page with Link up where we have contest prizes totaling over $350 from our gracious sponsors. Beautiful collection! I love it :) and all the accessories you made go perfect! great color palette, and love the way you assembled the collection... nice job! Love your colors! It's a wonderful collection! This is beautiful! I love the photos, props, accessories and the collection mixes together so well. This is such a perfect collection! Love your colors, styling, versatility of it all. 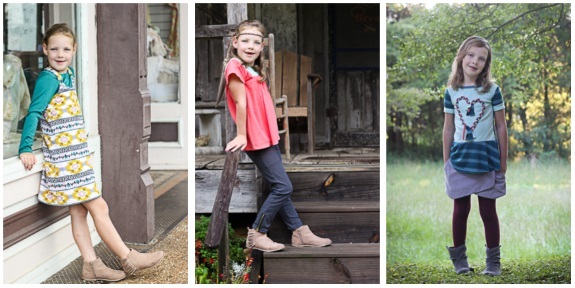 Your daughter now has a lovely collection for fall. Beautiful! This is amazing! You did such an incredible and impeccable job with all of it! And that hair piece is divine! Beautiful Collection! I especially love the braided heart! The accessories are one d my favorite parts. Well done- lovely collection! Wonderful collection - I love how well everything can be mixed and matched. Your sewing, photography and accessory choices are impeccable!